How many tools & software do you currently need to recover data from smartphones and other types of mobile devices? Those who deal with mobile phone recovery know that they lack an all-embracing tool which can cover all stages of getting data from these devices. If a smartphone is not locked, works properly and is accessible through the standard interface, you can use the available commercial and free software products to get data from it. But how often do you deal with such cases in practice? In real life, a mobile device is often damaged, locked or totally non-functional.That's why today data recovery engineers have to spend a lot of money on various specific purpose-built adapters and programmers if they want to recover different mobile devices. But what they get are uncoordinated solutions which are very limited in their functionality. recover data from the widest range of smartphones and other mobile devices for digital forensics and other purposes. ACE Lab’s brilliant minds have developed the world’s only universal solution to deal with all these tasks in one tool! 1.Ability to operate via the standard interface of a mobile device belonging to any mobile platform. 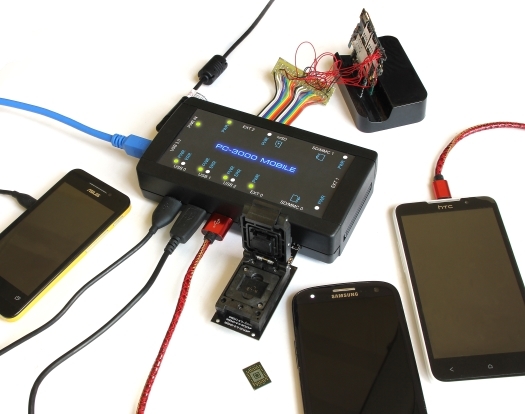 The controller of PС-3000 MOBILE has 3 built-in USB 3.0 ports featuring independent power control and error control. At the moment Android OS devices are supported by PC-3000 MOBILE through a special driver (x86, x64) created by ACE Lab. 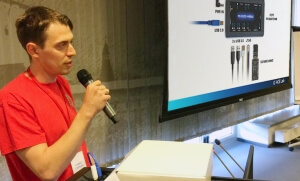 If a smartphone in not physically damaged, a common cable connection through standard phone interface allows to get access to user data on a smartphone. Right now ACE Lab developers are conducting research on supporting Windows 10, Windows Mobile and Apple iOS – based devices. 2.For partially damaged devices: ability to operate via the factory contacts of a mobile device’s PCB using the JTAG/eMMC/FBUS/UART protocols as individual or combined access methods. Wide support of the eMMC 153/169, eMCP 162/186, eMCP 221, and eMCP 529 chips manufactured in 9х11, 10х11, 11.5х13, 12х16, 12х18 or 14х18 packages. 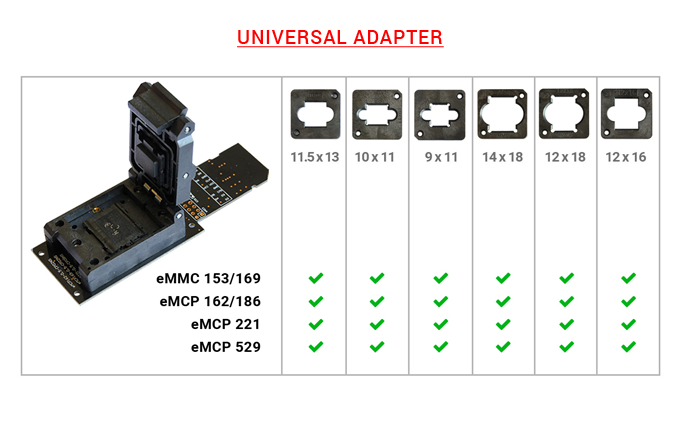 To support such a broad range of form factors, PC-3000 MOBILE kit includes 2 universal adapters with a set of inserts. PC-3000 MOBILE is based on the results of R&D work carried out at ACE Lab for many years and already proven as highly efficient for data recovery from damaged solid-state drives. These technologies include the ReadRetry reading modes, software and hardware retry procedures, voltage selection methods, and factory modes for accessing the data. 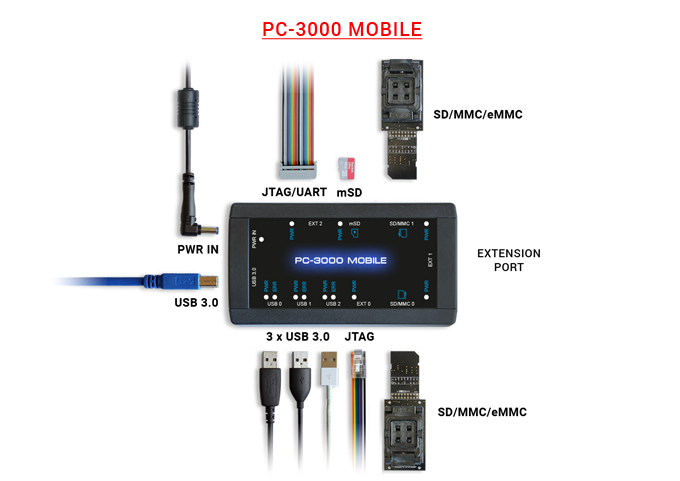 Besides, PC-3000 MOBILE has the extension ports for device-specific functionality and connection of add-on modules where voltage for all ports is supplied through an internal controllable power supply unit. Parsing of standard content. User data can be extracted for presentation in the format which is familiar to any smartphone user and displayed in special viewing modes. PC-3000 MOBILE has a lot of modules for different content types (contacts, text messages, WhatsApp, Web, Wi-Fi, etc.) as well as a set of analytic features and forensic tools. Result export and output. PC-3000 MOBILE allows to export the extracted data as formatted reports, transport formats or directly to a file. PC-3000 MOBILE supports Windows XP – Windows 10 (x86/x64) operating systems and allows both loading external dumps and exporting its own. Follow our Newsletters to learn about the release date.